How to Soften your SLR’s Pop-Up Flash #celebratephotography « Adafruit Industries – Makers, hackers, artists, designers and engineers! In the past we’ve showed you how to diffuse flash with foam and other materials… but let’s face it, these can look large and unsightly. 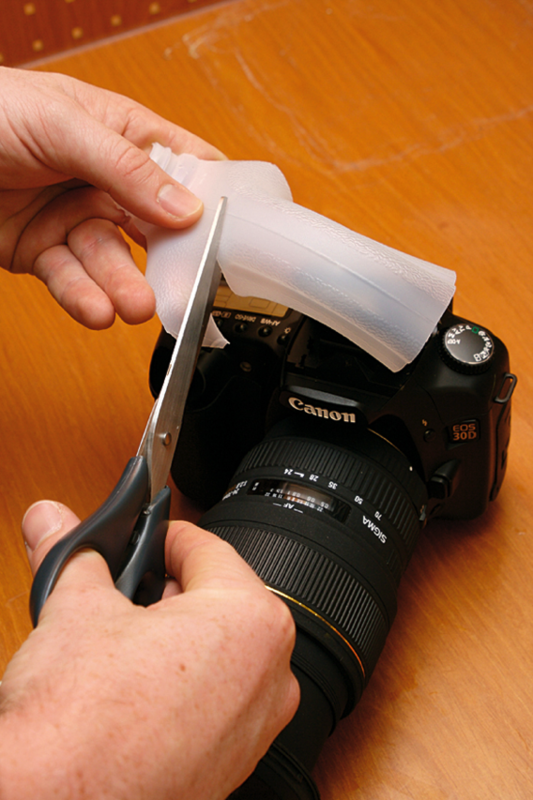 In our latest DIY Photography Hacks post we’ll show you how to use part of an empty milk carton as a more compact diffuser to soften pop-up flash. Using your camera’s pop-up flash can produce harsh and unattractive results. For those of us who haven’t got the spare cash to splash out on a hotshoe mounted flashgun, a small diffuser is the next best thing.